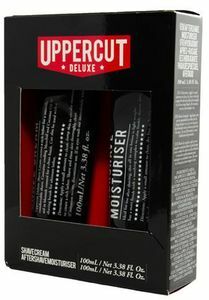 Uppercut Deluxe Matt Pomade has been specially formulated to give a medium hold and a natural, matt finish. Long hair or short hair – don’t let the creamy appearance fool you, Matt Pomade really packs a punch once applied to your hair giving ample grip and hold to assist in achieving a great look that lasts. It grips in the hair, not in your hands giving you ultimate styling power. This product is also water soluble so it can be washed out with ease. A must have for your styling range.